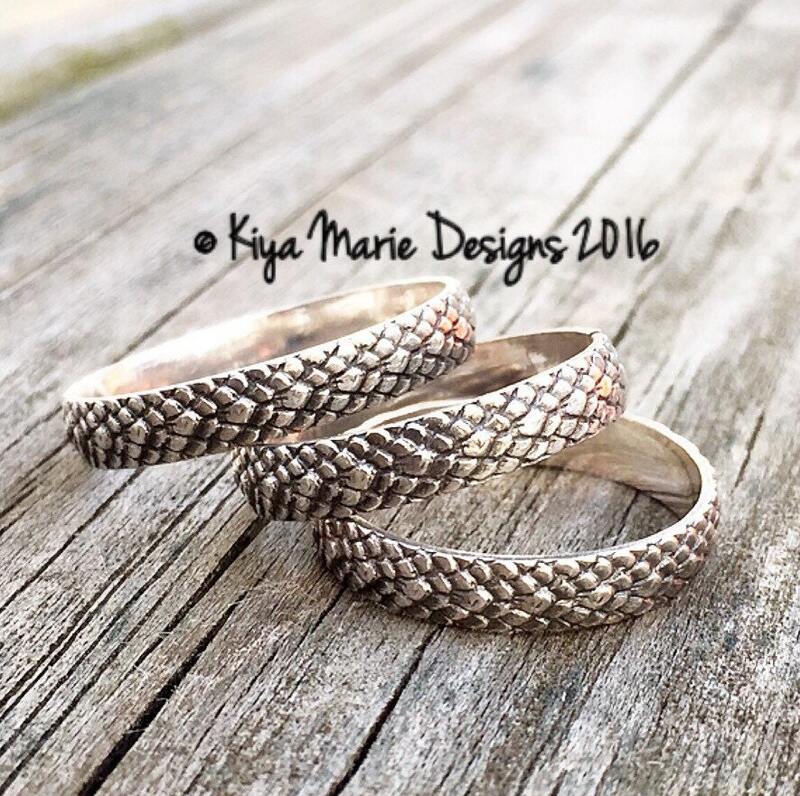 Adorable new mermaid scale rings in Sterling silver. These have been hand forged and oxidized to highlight the scale detail. These look great alone, or can be stacked with other rings for a nautical look. Made to order in any size. *THIS LISTING IS FOR ONE RING.